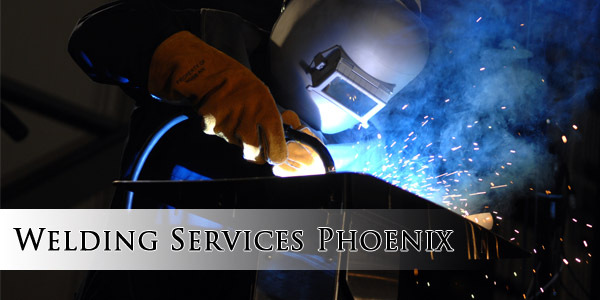 Are you looking for “Welding Services Phoenix“, while searching for welding experts in the Phoenix Metropolitan area? If so, give the experts at Artistic Alloys a call today at (480) 941-2611 or (480) 490-2935. Artistic Alloys is a welding company in Scottsdale & Phoenix, Arizona providing cutting-edge, creative and efficient welding and fabrication services. We are well versed in the realms of industrial, civil and commercial welding and our decades of experience ensure top-quality results. When you approach Artistic Alloys with a project, we will plan out the process with you and make sure we have an efficient plan of action that fits your schedule and budget. We can handle everything from unique, one-time projects to mass production, we guarantee we can handle your needs. Not only do we fabricate top quality products, we also provide installation services to ensure they are installed in the most efficient and functional way so you can maximize the benefits of your investment. Our intimate knowledge of the world of fabrication allows us to offer design and detailing services. We can help you with your design or even create one for you from scratch if you don’t have any initial plans drawn up or in place. We keep you involved so you have full knowledge of what is going into your project in both design and production. We also offer detailing services. Why travel from shop to shop in order to attain what you are looking for with your metal fabrication needs? Artistic Alloys will provide you with A++ services in all facets from our customer service to the fabrication and welding projects we complete. We guarantee our customer’s satisfaction with each and every job we perform. Our customers and clients are our life-blood and we treat each of them as family. Come see us and join the Artistic Alloys family and see the difference for yourself! For the most creative, efficient and long lasting welding services, look no further than the fabrication and welding experts at Artistic Alloys in Phoenix, Arizona.